Hello, this picture was taken in early September 2016, from the Chalice Well gardens, which look up to Glastonbury Tor. I'm sure you know that this is a famous hill in Somerset, with many ancient and mystical associations. I was in the Chalice Well with my lady when I took the picture on my iPhone. I tend to zoom in and snap pictures quickly and review them later. As I say I didn't notice anything on the screen, but it's entirely possible I wasn't paying attention, or looked away. I only noticed it later when we were looking through the photos. My lady hadn't seen anything, but may not even have been looking!, especially as whatever it was may have only appeared for an instant as I took the photo. I'd be so interested to know if anything else like it has been seen anywhere. One further thing I can add is that there were no aircraft around. Being also a bit of a plane spotter I would certainly have deliberately photographed one at that low level! 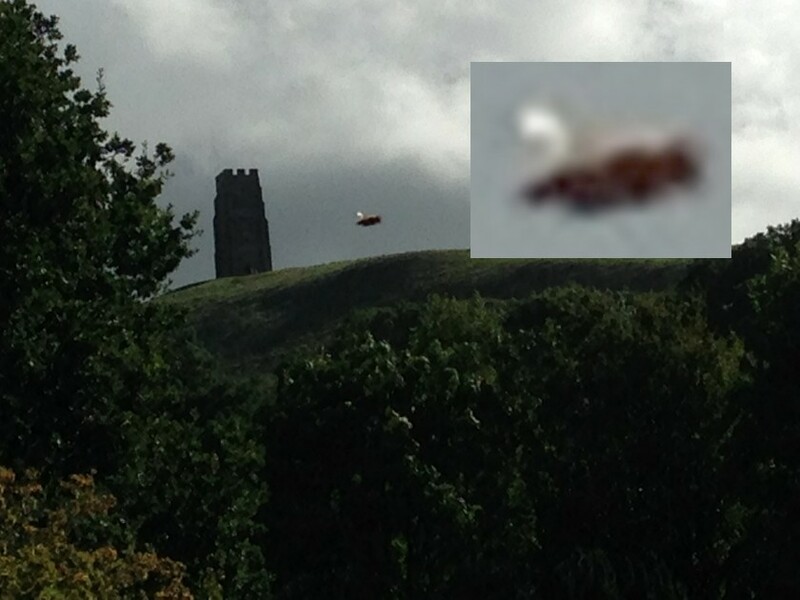 BEAMS Comment: This object is extremely interesting - particularly as there is an indication that it may not have been visible to the naked eye at the time: plus the obvious fact that it was captured so close to an ancient healing well and the magical Glastonbury Tor site! A real UFO? yes, we would say very likely - everything checks out; but what 'kind' of UFO - that's our question.... Craft or Crypto/Entity? 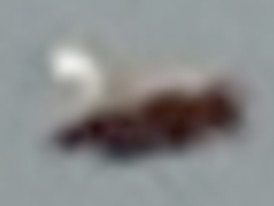 Original account shared by UFO Casebook - a site that we highly recommend.